This hydrating scrub is a coarse yet gentle exfoliant, which renews the skin's appearance and polishes off impurities. The active ingredients include unrefined green tea, as well as sweet almond and peppermint oils. Green tea is high in antioxidants, which are great at improving complexion and overall skin health. It’s also helpful in flushing out toxins, healing blemishes and scars, and reducing redness. This scrub can be used once a week. 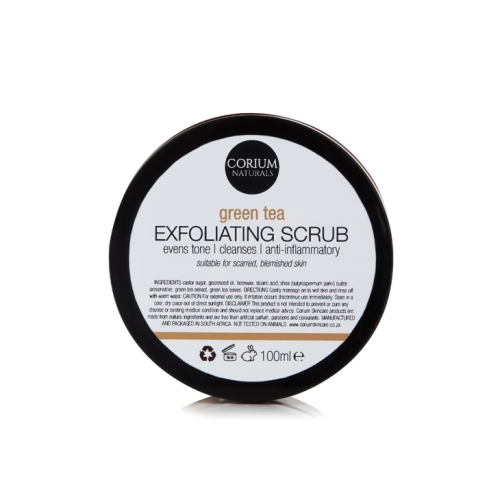 Green Tea Exfoliating Scrub is suitable for all skin types but should be avoided by those with sensitive skin. 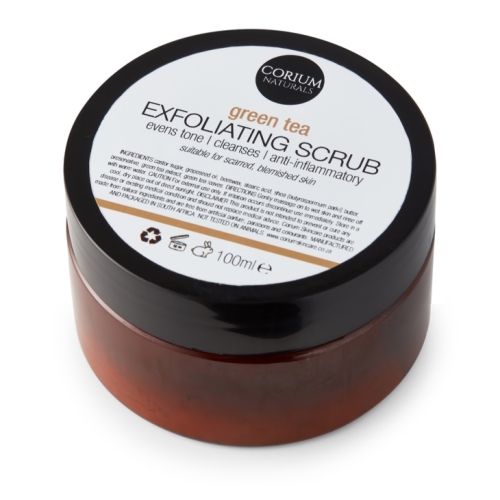 Notify me when 100ml Green Tea Exfoliating Scrub 100ml Green Tea Exfoliating Body Scrub is available.